I’ve never been very good at meal planning. Actually, I’ve never been good at meal making either. Since we’re trying to eat healthier, with the boys all getting older, and with my husband working a lot more hours, I decided it was time to start learning to be better in the kitchen. 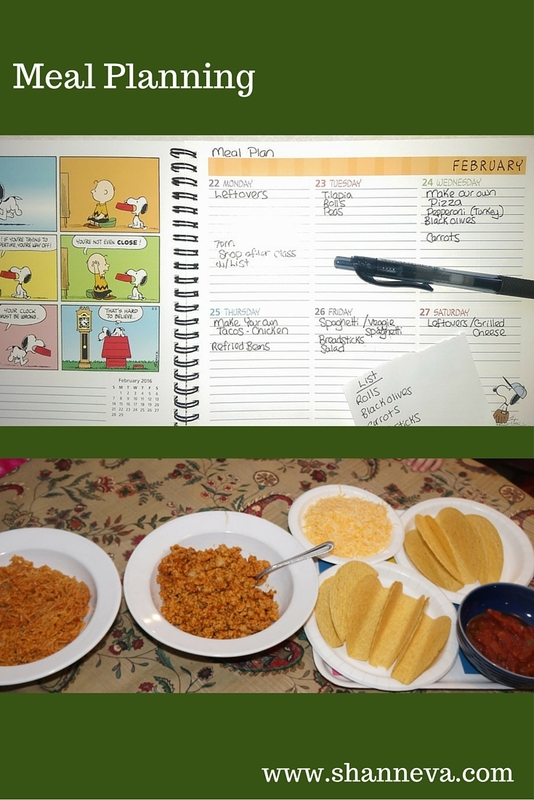 My first task was to start meal planning. I read a lot about meal planning before getting started. 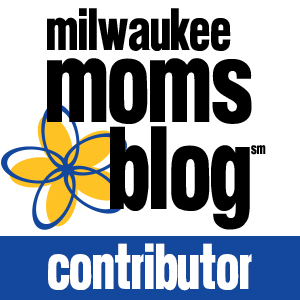 One blog series I found particularly helpful was by Angie over at Chasing My Halo. She gave tons of tips on how to prep and plan meals. One tip I found really helpful was to plan on a different day than you shop. I thought this was really smart, so that’s how I started. I got out my planner, and wrote down each meal for the week. How did I come up with these meals? I looked through our cupboards, refrigerator and freezer to see what we had first. I went shopping with my list. I confess that I did go to more than one store, only because the produce at one store wasn’t exactly what I was looking for. Good thing I don’t mind shopping. I revised my plan a little, after looking at our main calendar. There were a few nights my husband had to work late, and also Mr. B’s conference one night, so I switched up the meals a little. 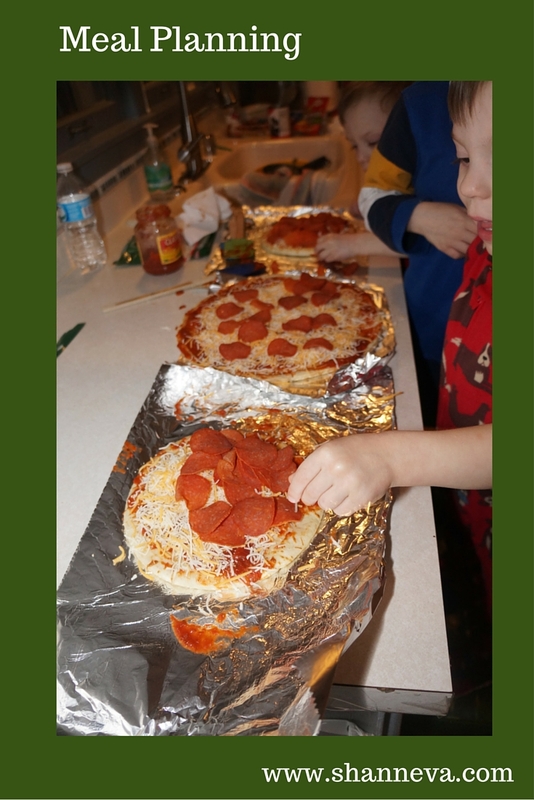 For example, I decided “make your own” pizza night was a good activity for when I had the boys all by myself, while leftovers were better when Grandpa was coming to babysit. Food Prep. I honestly didn’t do any other kind of food preparation besides the shopping. This is something that I need to work on next time. For example, I can wash all the produce when I first get it home to save time. Make 2 (or more) at a time. If I cook a few things in bigger batches, then I can have meals straight from the freezer. For example, I’m going to try to make lasagna and have enough to eat one and freeze one. Eventually, maybe I’ll plan more than one week at a time. We’ll have to see. Overall, I think I did OK at meal planning. It took a lot of work and a lot of time, only because it was my first time. I think with each additional plan, I’ll get more efficient, and it will end up saving both time and money. Plus, we will all be eating healthier! Do you plan out your meals? What tips do you have for me? I think you did great! I’ve dabbled in meal planning and it is definitely harder than it looks! Your meals sound delicious! It IS harder than it looks for sure. Good job sticking to your plan! I have, on occasion, prepped a bunch of food all at once. It’s a lot of work but it totally pays off. I’m not sure why I don’t do it very often! Awesome! I’m going to have to start meal planning myself. I’m starting my 21 day fix next week. It all seems a little overwhelming though. Good luck with it! I’m anxious to read how you like it. I go back and forth on being good at meal planning. Some weeks I’ll be great at it and others I’ll neglect it completely. I need to be able to form better habits and have a schedule about it so I’m not all over the place. Food prepping is like, exhausting for me to think about hahaha so high-five to you for getting started! Tossing crockpot meals in there is a really fantastic idea, makes it a little easier! i planned meals for years when the kids were small. Now that its just my husband and I we have a lot of last minute meals. I need to start meal prepping more. I usually go to the grocery store throw stuff in the cart and hope I can make something with it! LOL. We do meal prep every week. We also prep snacks and smoothie bags so that during the week things are easier. Once you do it for a while it becomes such a habit! Good for you! Its amazing how much easier your week can be when you meal prep correctly! Love your honesty in this post! Soups are always great to meal prep with because you can just freeze them right up and pull them out whenever! Really enjoyed how you started learning how to meal plan. They were great steps. All the meals sounded delicious. Sometimes when I plan meals I do it to get the job out of the way. As I plan fortnightly I may have the same meal four times throughout that period. But after the second or third time eating it, I had had enough. So I did not enjoy it the fourth time. At the moment I am learning what is good to freeze and what does not work well. That can also change the taste of a meal. Thanks for the tips. I’m going to spend more time planning now. Great tips!!! I meal plan every week. It makes it so much easier for me. Sounds like you did a great job. I try to make casseroles in the beginning of the weeks bc I work nights Monday -Wednesday and it makes lots of leftovers! It will get easier as you do it more! Meal planning has been a game changer for me. I’ve been doing it religiously for about a month and a half and have noticed that I’m saving major money at the store. Plus we aren’t throwing as much away! I’m a total meal planner. We usually stick to it 5-6 days a week! I feel this is one of the most effective ways to keep consistent with healthy eating habits. Leaves a lot of the guesswork out of it. I make my own healthy pizza too and I love it. It’s awesome that your kids are involved as well. If they learn to work with food early on, they’ll be more creative and independent. Meal planning has been one of our saving graces since having our son. We keep a menu on the fridge and it’s been so nice to not have worry about “what’s for dinner.” But, I feel for your pain.. I am not the best meal maker. Struggle with not being prepared and rushing too much trying to make things. Thank you for sharing your meal plan. Love trying new things. Sometimes I meal plan sometimes I don’t because it truly can be very time consuming. When I do it I usually do it for the month, and man doesn’t that take effort. Just like you, I tend to make adjustments during the week/month depending on what’s going with the family. I’m also a HUGE fan of the crockpot. I usually cook once per week cooking meals for the week all in one day by having things going in the crockpot, the oven and on the stove all at once. The more you do it the better you become at it. Good luck on your meal planning journey! Thank you! I’m getting more comfortable with the crockpot, and the kitchen in general. It’s definitely a journey! You’re welcome! It was really helpful. As for step 1, I probably spent way too much time browsing around Pinterest, but the other parts only took about a half hour. Ha! Too funny. Making the meal is definitely the hardest part for me…and I don’t want to eat it either. Meal planning and meal prep is so tough! I just started doing it full force at the beginning of March and it takes so much more time than if you were throwing something less healthy together quickly. Good for you for working on it! You make meal planning sound so easy! I always say I’m going to meal plan, but then I fly by the seat of my pants, lol. Meal planning is hard, mostly because things can change so rapidly day to day. Usually when I meal plan I only actually plan 5 meals, and then the other two days are either “eat out”, “eat at a parent’s place” or “make something with what I already have” – I find this way I have less food waste. I really need to start meal planning. I am so bad at it. Usually my boyfriend and I just cook or eat whatever we feel like that day which can be stressful. Lord knows when I come home from work I really do not want to cook, much less do anything. These are all great tips!! Hopefully I will get on board with meal planning soon! I don’t really meal plan either. I ask the fiancé what he wants for dinner. He always says tacos and steak! And then I shop every Monday. I’m just not organized enough for a whole planner just for meals! I SERIOUSLY have to meal plan! My husband keeps telling me he’ll help me do it, but I just never get around to doing it! Thank you! Monthly planning sounds like a great idea. Maybe I’ll give that a try next.